Jon Bon Jovi might have already nabbed the title of “first rocker to own a professional sports organization” with the Philadelphia Soul, but that hasn't deterred KISS from buying its very own arena football team. The team, The L.A. KISS, will sport custom KISS-themed helmets, and season ticket holders will be treated to a private concert from their team’s namesakes/owners. 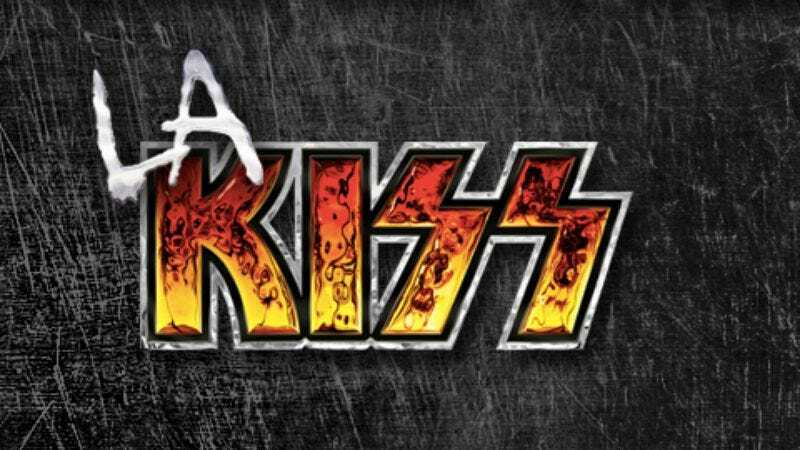 In a statement, KISS frontman/main marketing whore Gene Simmons said, “As a fast-paced, high-action band, this partnership with the AFL was an obvious fit for us”—because, you know, KISS, football, arenas, money, whatever. He went on to compare the experience of being at an arena football game with “a live KISS show,” claiming that both have “thrilling, heart-pounding action.” In the same statement, Paul Stanley said that KISS is working with the AFL rather than the NFL because that organization has become too interested in “corporate sport”—something a band that slaps its logo on everything from caskets to condoms would absolutely know nothing about.